Stew Leonard’s originally started in the 1940’s delivering fresh milk and dairy products door to door. They quickly became a renowned grocery store chain that was featured on everything from the Guiness Book of World Records to Food Network. Today their store is legendary and they have expanded to online where they offer gourmet food items and gifts. While gift baskets weren’t their original concept, they have quickly become a leader in gift basket sales both in-store and online. A New York-based company rich in history as it is in food. 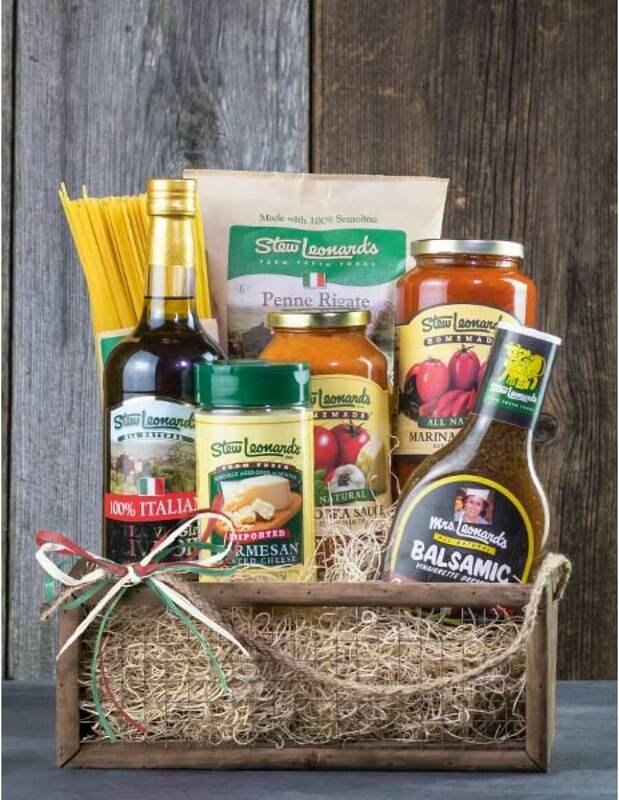 Stew Leonard’s has gift baskets that feature all of the products they currently sell in their retail location. Majority of their baskets contain non-perishables, such as crackers, popcorn and cookies. But, they also have a large majority with homemade candies, toffees, peanut brittles, wine, cheese, meats, fruits and vegetables. They do not have any non-edible items, but that is because they are a gourmet food store; therefore, their baskets would follow the same suit as the products in their store. They also do not carry gift baskets for pets. In terms of brands, they do carry some of the big names in candies – such as Twizzlers. Most of their products, however, are their own gourmet brand. There is no customization with Stew Leonard’s at all. You cannot add ribbons or add-on to the gift baskets with other gourmet items. You could always purchase separate and add them yourself, but that doesn’t help if you are ordering and delivering from the site. You also cannot design-your-own basket unless you are a corporate buyer – and even then, the options are limited. On their site, Stew Leonard’s has a lot of sentiments and themes, but when you actually select that theme or sentiment, the baskets are not actually themed, decorated, etc. for it. The only baskets that are true to the theme are those that are for holidays, such as Christmas. While they have a lot of sentiment options on their site, with so few actually matching that sentiment it may be hard for those shopping to find exactly the type of basket they are looking for. Also, they do not offer any specialty baskets, such as Kosher, organic, gluten-free, etc. While the fruit baskets could be considered “gluten-free,” they are not specifically designed for those seeking gluten-free baskets. Stew Leonard’s does offer corporate and business gifting options. You can order your products with custom-printed tin lids, add gift cards, or choose a premade basket. The corporate gift baskets can only be customized when you include tins and they don’t offer corporate discounts – which may deter companies especially if they have a lot of gifting needs and a strict budget. There is no other branding or personalization other than the tin option at this time too. Also, Stew Leonard’s doesn’t have a department dedicated solely to corporate ordering. 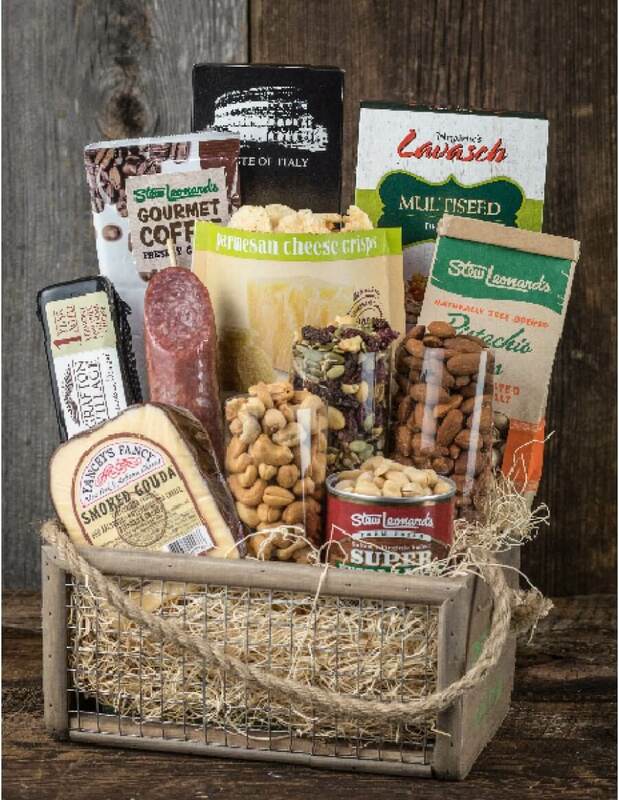 Price wise, Stew Leonard’s is relatively affordable – especially when compared to other gift basket companies offering gourmet gifts. They have plenty of baskets under $30 for those that are shopping on a budget and the highest priced basket is still under $200. But, the baskets are much smaller than they appear online – though this seems to be common among most companies. Unfortunately there is no solid pricing or flat shipping for ground and Stew Leonard’s doesn’t offer pricing online – instead, you have to checkout with the basket and it will be based on weight and destination. They don’t offer same day shipping, but they will ship to APO/FPO boxes – however they cannot guarantee the time. 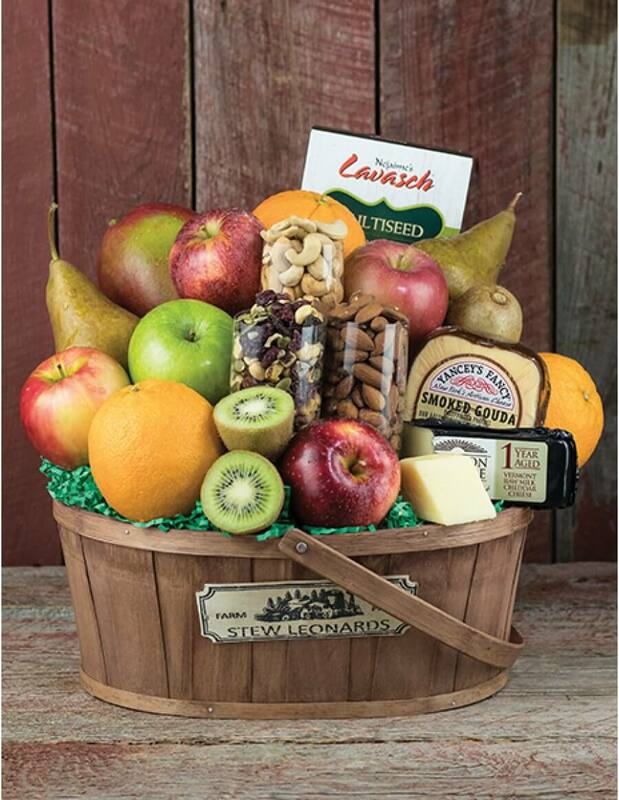 There is nothing overly special about how the gift baskets are packaged with Stew Leonard’s, but they do have great assortments and variety in each basket – something that will be appreciated by the person receiving your basket. You can add a gift message at checkout and some baskets have holiday-inspired or customized baskets. There is a return and exchange policy with Stew Leonard’s, but it isn’t as shopper-friendly as other companies. Perishable items will only be refunded if they arrived damaged or something was wrong with the product. If you simply do not like what you received, you cannot exchange. Also, shipping and a restocking fee for items that can be resold will be taken from your refund. Customer service is rather limited with Stew Leonard’s and the gift site shares customer service with general customer service. They do not have live chat and while they have email, it can be slow to respond. Their customer service line is available during business hours. They do have an extensive FAQs PDF that you can open and read – which is good because the majority of their website is very hard to navigate and very disjointed when it comes to finding information. Stew Leonard’s is not BBB accredited, but they do have an A+ rating as of now with the BBB. Under $50 – There are plenty of baskets to choose from under $50. They can include fruit, treats, cookies, sweets, etc. A few will be fruit-only baskets, while others will have fruit and snacks. Majority of these baskets weigh under five pounds total. $50 to $100 – These baskets are definitely more robust and include snack baskets, sweet treat baskets, fruit baskets, etc. These baskets are under 10 pounds. $100 to $200 – There are not a lot of baskets for under $100. Those that are contain snacks and sweets, but are still under 10 pounds in weight. $200 and up – At the time we were shopping, there weren’t any baskets over $200. Those that know and love the Stew Leonard’s brand of products will enjoy shopping for gift baskets here. Corporate buyers may not be as impressed simply because there is limited branding opportunity and their lack of discounts could be an issue. Stew Leonard’s by far has one of the larger selections of baskets with sweet treats – including chocolate-covered pretzels, toffee, peanut brittle, pretzels, etc. 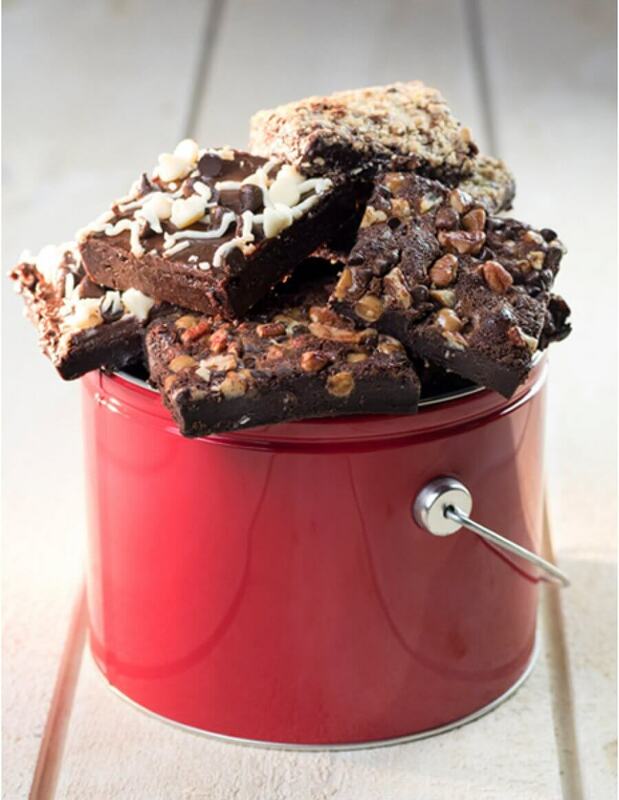 We like this larger volume of treats and options because they are easier to gift than fruits, meats and cheeses. Their prices are much more favorable than other merchants – and those on a tight budget can still find large baskets with tons of products for under $150. We really hope that one day Stew Leonard’s fixes their website. It is hard to navigate and difficult to find what you are looking for – whether it is products or information. We also wish they were clearer about shipping or had a respective chart to make it easier to plan shopping on their site. Also, we wish that Stew Leonard’s Gifts had more customization or personalization options for their baskets – since some people like to add-on or at least add ribbons and balloons for their baskets. East coast inspired fine gourmet gifts.